“First off, we would like to thank all our fans for hanging in there over the last six long years. 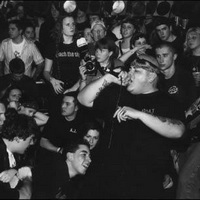 As of December 2010, Blood for Blood will embark on our first tour since 2004. Blood for Blood has agreed to join the Persistence Tour in Europe sharing a stage with long time friends Sick Of It All as well as other acts soon to be announced. The decision to play again was not an easy one to make. Over the last few years we have tried time and time again to contact [guitarist & vocalist] Rob [Lind aka "White Trash Rob"] about a possible Blood for Blood reunion, but he has ignored every single attempt we have made. Therefore, we were left with no other choice but to find someone else to fill in for his BFB responsibilities. Now, let’s make this perfectly clear: We have no ill will towards Rob whatsoever. We wish him well and Blood for Blood will always be open to him.